Peel Region Police said they received a call about the explosion in the Bombay Bhel restaurant, located in a plaza near Hurontario Street and Eglinton Avenue, just after 10:30 p.m.
Three people suffered critical injuries and the remaining 12 suffered minor and superficial injuries, according to Peel Region paramedic Joe Korstanje. However, India's High Commissioner to Canada, Vikas Swarup, tweeted Friday morning that consular officials have visited the injured and confirm "that the three Indian-Canadians who were reported to be critically injured" are now in stable condition. The Indian consulate in Toronto earlier tweeted that it had opened a helpline for those seeking assistance following the explosion. Peel Region Police released this photograph of the suspects. "There were two individuals seen entering and detonating the device and two individuals that were seen fleeing the restaurant," Const. Iryna Yashnyk told reporters at the scene. "We're looking to speak to the individuals seen fleeing the area and looking for the public's assistance in identifying them." 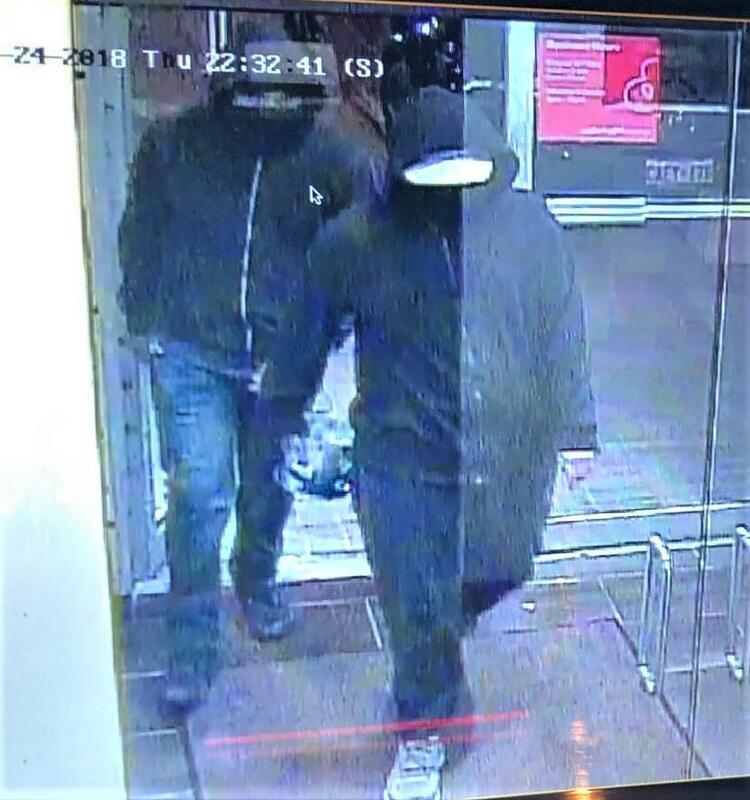 Police have released a photo of the two men walking into the restaurant. One is described as being in his mid-20s, with light skin and a stocky build, wearing dark blue jeans and a baseball cap with light grey peak. The second has fair skin with a thin build and was wearing faded jeans, a grey T-shirt with dark-colored skate shoes. The image released by police shows both men with dark hoodies pulled over their heads and their faces covered. The front doors of the restaurant were shattered but intact. Police said the plaza would be sealed off all night. Andre Larrivee, who lives in a nearby condominium building, said he was watching television and heard an explosion. Other people who were shopping in neighboring stores - and waiting for their vehicles to be released from behind the police tape - also reported hearing a loud explosion.